My husband, mom, sister and I landed in California on Friday afternoon. 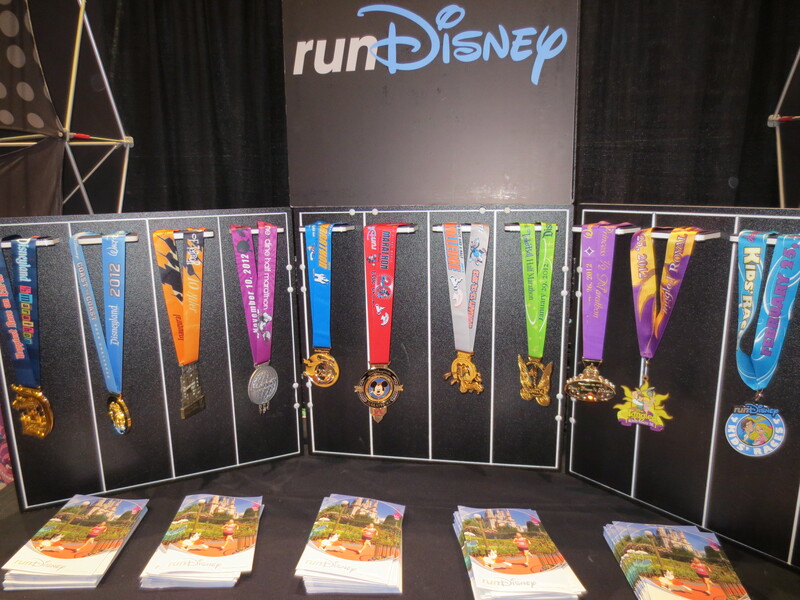 After quickly dropping our stuff off at the hotel we headed right over to the race expo to pick up our packets and check out the runDisney merchandise. We didn’t spend too much time in the expo since we were excited to head over and check out the parks. 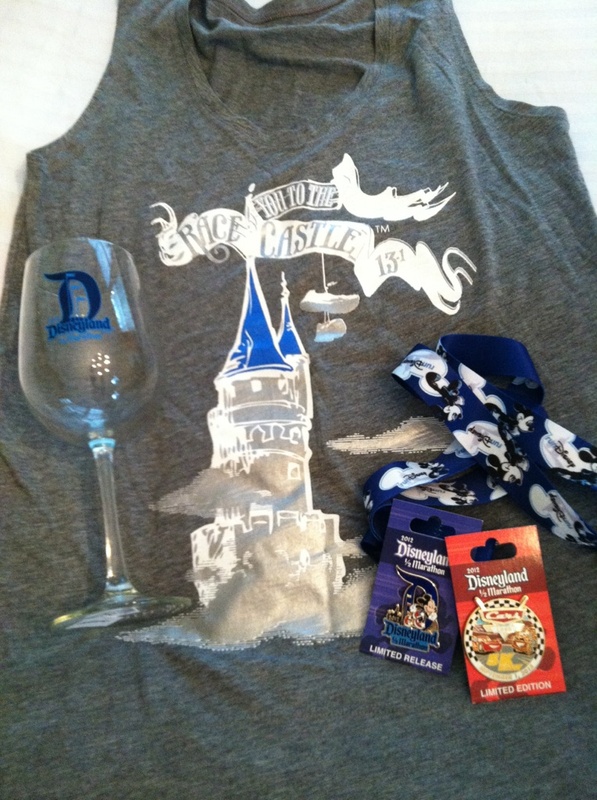 I did pick up a Disneyland Half Marathon wine glass and pin to add to my collection, a free poster from Lasting Commemoratives (which I definitely plan on framing!) and a cute shirt from Raw Threads that says “Race you to the Castle”. I also stopped by to check out all of the runDisney medals. The new marathon medal is REALLY nice, I love the Walt Disney quotes inscribed on it. After the expo we went over to California Adventure for a couple of hours (I wanted to save Disneyland for our first full day!) but we were quickly tired from our long day of traveling and still being on east coast time so we grabbed dinner in Downtown Disney and got to bed early to be ready for the 5k in the morning. Since we were staying at different hotels I met my mom and sister by the staging area for the 5k the next morning around 5:45am. In the elevator on my way out of the hotel I ran into a family who was also headed over to the 5k – mom and dad who were both runDisney veterans (dad did Goofy and was getting his C2C medal at DL) and two kids, a girl maybe 6 and a boy about 4. The little girl had on the same outfit as her mom and she was so excited to be doing her first 5k, the boy (who was a “stroller participant”) was wearing his Cars pajamas and crocs and had some of his Cars toys with him along for the ride. As I talked to them on the walk over I couldn’t stop thinking about how amazing it was that runDisney was something that families could not only plan trips around and participate in together, but at the same time it was teaching kids about exercise and staying healthy – what kid wouldn’t want to run through Disney! Such a great thing to do as a family and I have no doubt that in about 15 years those kids are going to be running Disney half and full marathons themselves! 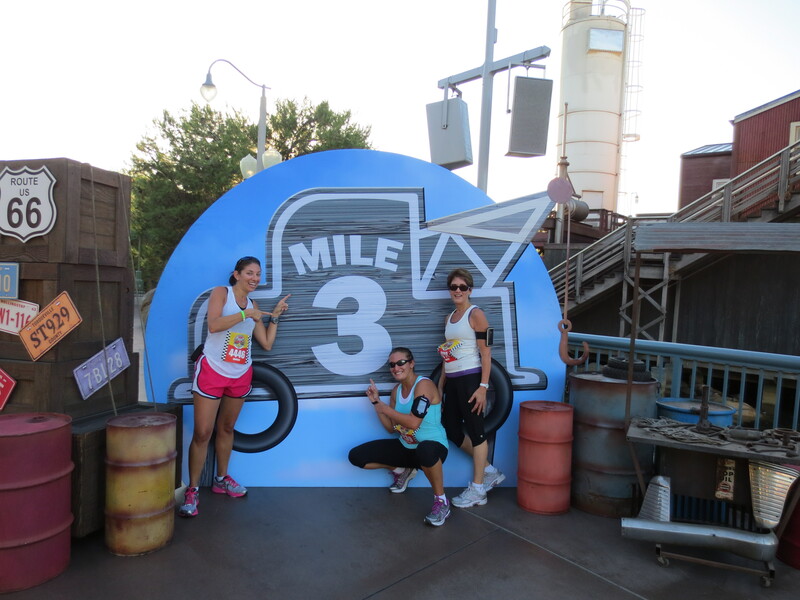 Since we got to the starting area so early we were able to stretch, take a few pictures and then managed to get a pretty good place it the corral once it opened (the 5k is untimed and there are no pre-assigned corral placements, in other words, it’s a giant free for all!). As soon as the race started I understood exactly what a few of my friends meant last year when they said the 5k was only “ok” when they did it as part of the unofficial “Dopey”. For the first half mile it was so congested it wasn’t even worth trying to run, you just sort of shuffled along with everyone around you – definitely not a race for the super competitive! At the same time it was great to see so many families and walkers participating, kudos to everyone just for being out there! By the time we got in to the first park, Disneyland, the crowd had really opened up enough that we were jogging at a steady pace. Being my mom and sister’s first race (although I did drag her through a Warrior Dash a few months ago…) we were just planning to move along at a comfortable pace and take lots of pictures! And of course my sister had to hit up the first bathroom we came to! I actually loved getting my first glimpse of Disneyland this way, it was a nice teaser for what was to come the rest of the trip! After going through Disneyland the 5k brought us into California Adventure where we ran through the Pier and then towards the finish at Cars Land. I was really excited to get my first view of Cars Land as we came in to the finish, I had imagined turning a corner and seeing that amazing landscape of Radiator Springs I had seen so many pictures of, but unfortunately the way the finish was set up you didn’t really get that “WOW” moment. The finish was towards the back of Cars Land and it was pretty congested, I was initially disappointed but quickly realized that to see the view I was looking for you had to be down the other end of Route 66. It was definitely worth the wait…when I saw the full view of Cars Land for the first time “WOW” wouldn’t even begin to describe it! 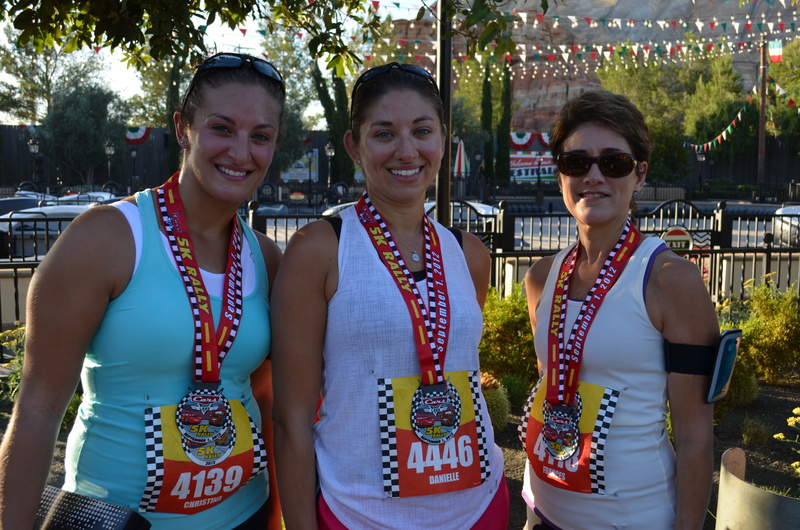 After we crossed the finish line we collected our medals, grabbed a bottle of water and a box of snacks and headed off to find Jason who has come down to Cars Land to meet us at the finish. We took a few pictures in Radiator Springs and headed back to the hotel to shower and get ready for our first full day in Disneyland! I’m actually really glad I ended up doing the 5k! Not only was it fun to do this race with my mom and sister, but it was such a unique way to see Disneyland for the first time! 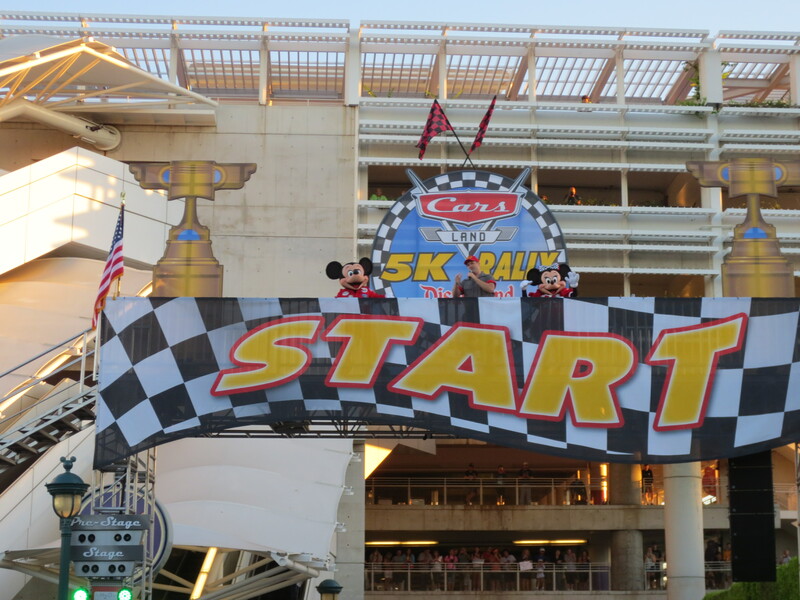 I don’t think I’d do the 5k every time I’m at Walt Disney World or Disneyland for a race, but if I had a family member or friend participating I’d be happy to join! 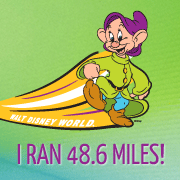 I’m still considering adding the 5k to my “Goofy” in January to make it “Dopey”! 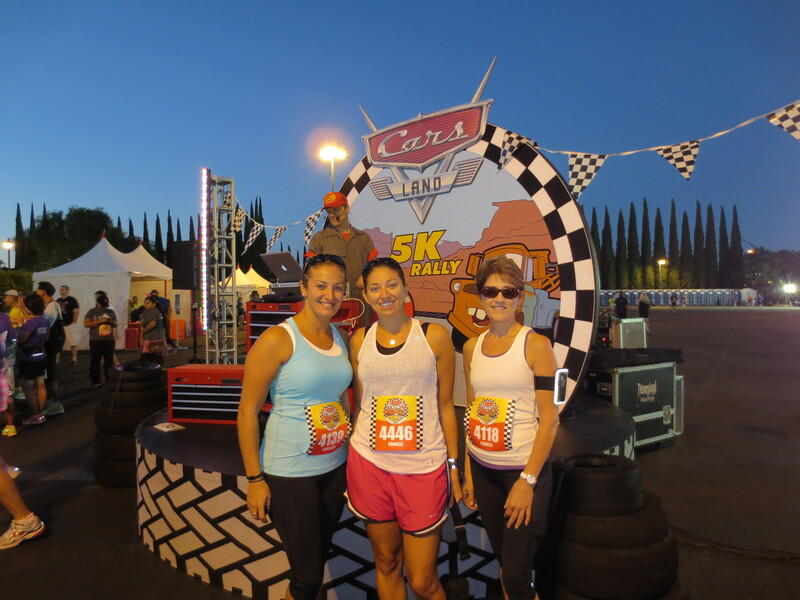 Danielle – I always do the 5ks! Even though they are not competitive they are a great way to get a fun run in before the big event. Everyone is so happy to be there and ready to run. I am going Dopey at marathon weekend and I don’t think any of my family members are going to run the 5k with me. I am going to try starting at the front for once. I usually run it with my middle school daughter, but she is not coming this time. I wonder how the experience will be different. We could have a blogger brigade! Great recap! I love all of your pictures! 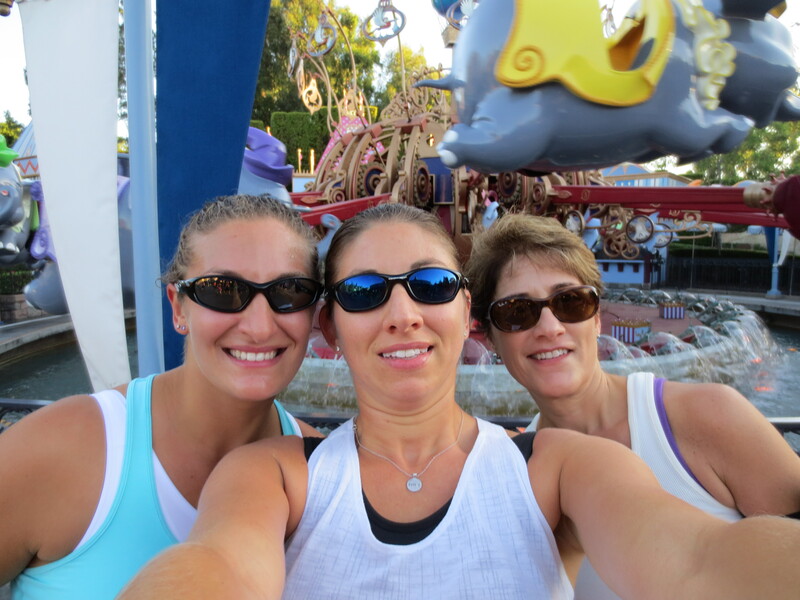 Thanks for tweeting with #runDisneyBlogClub! Thanks Erin, I’ll let you know if I end up deciding to do the 5k in January! I am very excited to see the new cars land in January. 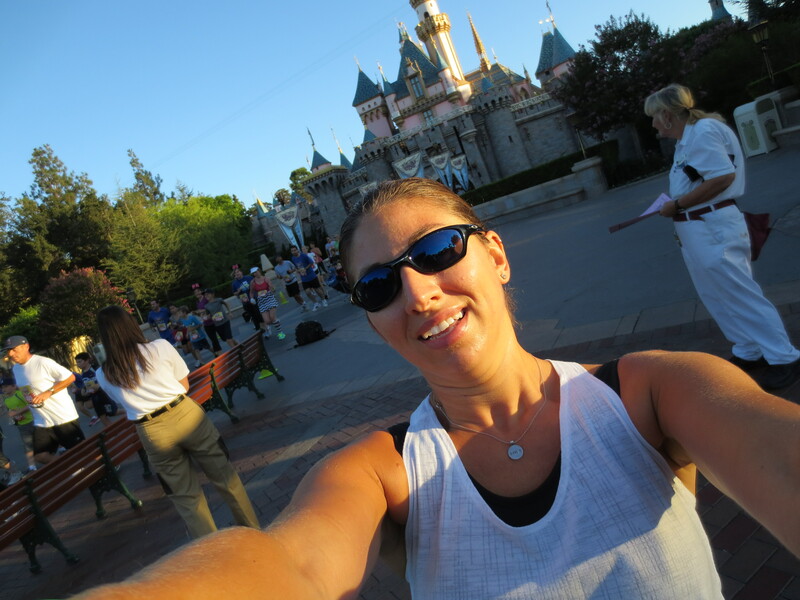 I am running the Tinkerbell half marathon and am excited for a few days in Disneyland! Looks like it was a fun run! 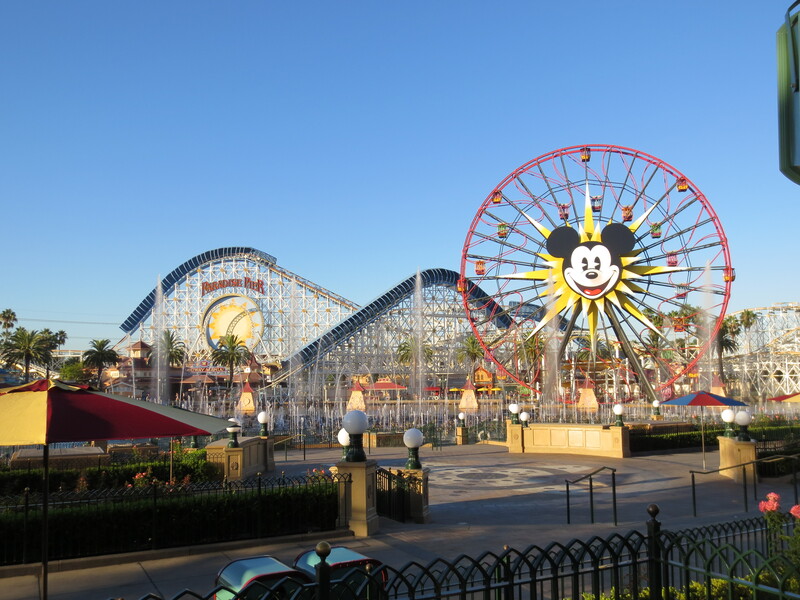 Hi Sarah, I had such a great time in Disneyland and Cars Land was amazing! Be sure to see it both during the day and at night. 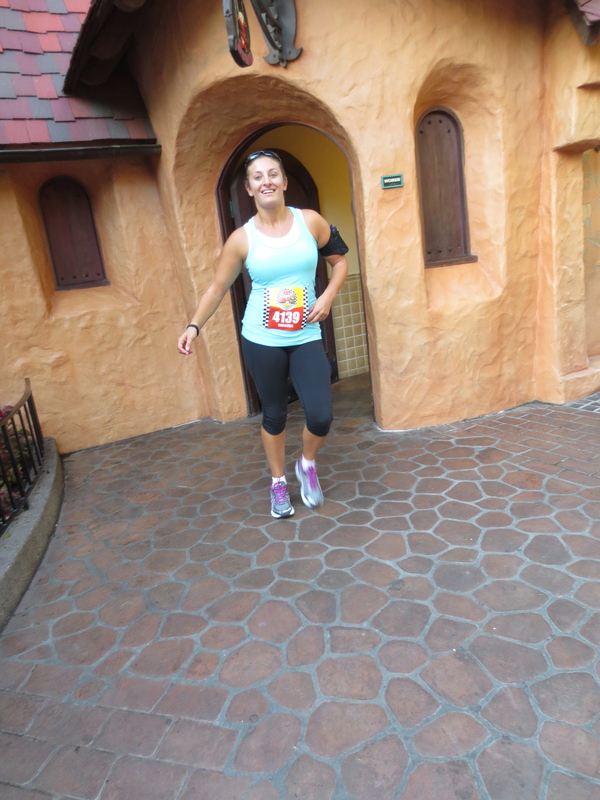 I wish I was doing the Tinkerbell Half…maybe next year! Love the recap! Keep an eye out…I’ll be posting a similar one soon 🙂 haha, thank you again! 🙂 I tried to make them a little different, but there’s only so much you can say about a 5k! Working on my half recap now! Oh, it was SO much fun! All of the runDisney events I’ve participated in have been great, I can’t wait until my next one!